Summer is almost here and Mother Nature is totally not having it in Boston. It’s been a rainy, chilly Spring and the forecast this week is totally reflecting that. Drizzly, couch snuggling days aside, we won’t let that stop us from dreaming of beach days and light, yummy summer foods. We’ve got a summer vibe going in this house and we’re bringing it to yours with this Arugula Caprese Salad! Caprese Salad has got to be one of the best ‘salads’ of all time. Creamy buffalo mozzarella, tangy fresh tomatoes and sweet herbaceous basil. I mean, come on, the salad’s main component is cheese. Drizzle with hearty olive oil and aged balsamic and it’s practically perfection on a plate. Perfection that is, if you’re not on a search for extra greens to go with it. Caprese salad on a restaurant menu is always a hit, but you rarely see it being whipped up at home. What gives America? With minimal ingredients and record breaking prep work, why aren’t we serving this up at the dinner table? Perhaps it has something to do with the lack of greens. 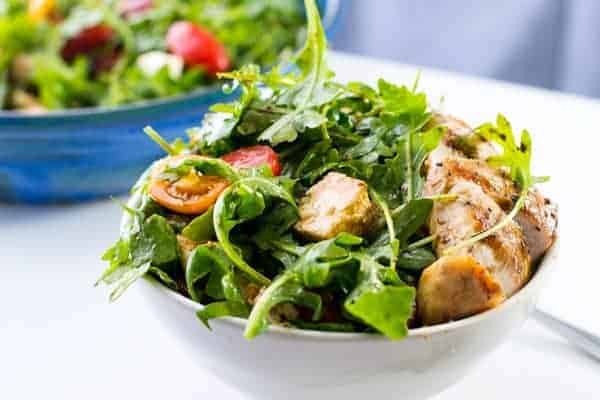 A salad on the dinner table is usually to provide some green nutritious veggies. While basil is technically green and does have some healthy properties to it, it’s not going to boast the same as some good ole roughage. Well, step aside boring side salad. Let’s solve that problem with this Arugula Caprese Salad. You should totally do it. Just do it and never look back. This one time, a few years ago, I splurged on an aged balsamic vinegar and it changed my balsamic loving life. It came with this cute little pour top. I thought, “Oh, this will be nice to have for dipping bread.” Bread. Salad. Pizza. Pasta. It adds so much to a dish and a little goes a long way. 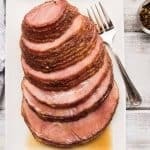 For a few dollars more, it brings the sharp acidity of regular run of the mill balsamic vinegar but cuts all the harsh sting of the less expensive varieties. The sting that when you get a loaded bite of vinegar that borderline chokes you. Even more, the aged vinegar has a natural sweetness and most varieties do not add any colorants or additives such as caramel. So if you’re looking for a natural way to flavor your greens that won’t leave you feeling guilty for drowning your salad in it, an aged balsamic vinegar is a must. Typically, aged balsamic vinegar can run anywhere between $15 per bottle to over $100 per bottle. The more it is aged, the more concentrated the flavors. Aging Italian vinegar is a lot like making wine. The good stuff gets more expensive with difficulty, ingredients and age. That being said, as much as I would love to own a bottle of $100 balsamic vinegar, that ain’t gonna happen. Momma would much rather buy a few bottles of wine for that price tag. So, I usually shoot for the $20-$30 range and a 8.5 fl oz bottle will last me a few months. :::High fives while eating delicious aged balsamic drizzled Arugula Caprese Salad and sipping on the bottle of red wine bought with the money not spent on vinegar. Which brings me to balsamic glaze. We’ve sung the praised of a good, quality aged balsamic vinegar, but we’re not going to disown it’s sweeter, reduced cousin balsamic glaze. This alternative is a far easy find and much less expensive. It is sweeter than an aged balsamic vinegar as it is made by combining sugar and less expensive balsamic vinegar and reducing over low heat. The result should be a thick, syrup-like balsamic sauce. Still delicious and perfect for a sweet element on salads or even a topping on gelato. If you’re looking to keep things light and healthy, well, sorry balsamic glaze it’s not you, it’s us. Pre-washed, ready to go arugula. Diced up fresh mozzarella or hand tear for a rustic look. Traditionally Caprese salad opts for a thick cut fresh tomato, something similar to a Beefsteak or Hothouse tomato, like this vegan version of Caprese Salad from The Fitchen. To keep things colorful and bite-sized, this Arugula Caprese Salad using heirloom cherry tomatoes. Cut them in half or throw them in whole. You do you. A little chiffonade of fresh basil, salt, pepper, extra virgin olive oil and that aged balsamic vinegar. Done-ski. In all my free time, I’ll be over here sipping on this tea like a Kermit the Frog meme. 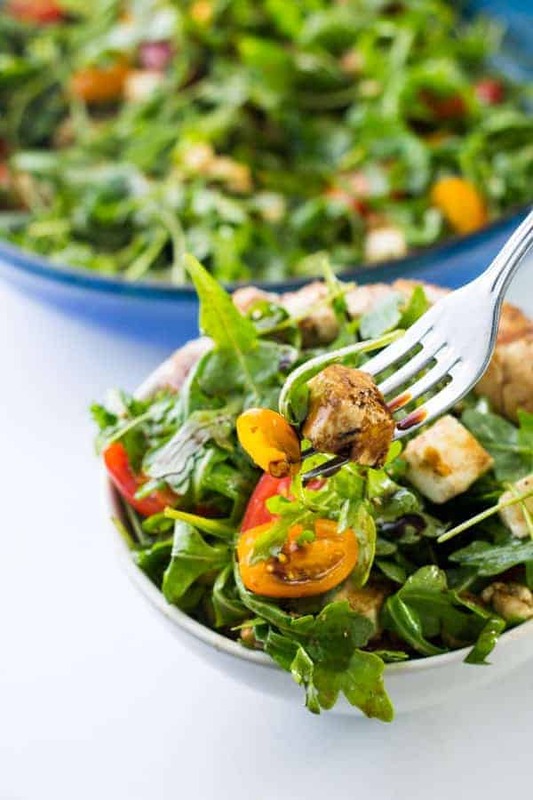 And if you love classic Italian salads just in general or want to explore more into this tasty niche, add this Panzanella salad from Wanderspice to your repertoire. ‘Pan’ is bread in Italian. So you know this is going to be good. If the only pasta you want in your life is prefaced with the word ‘pasta’ then sign up for Foodal’s Sicilian Pasta Salad. You won’t be sorry! 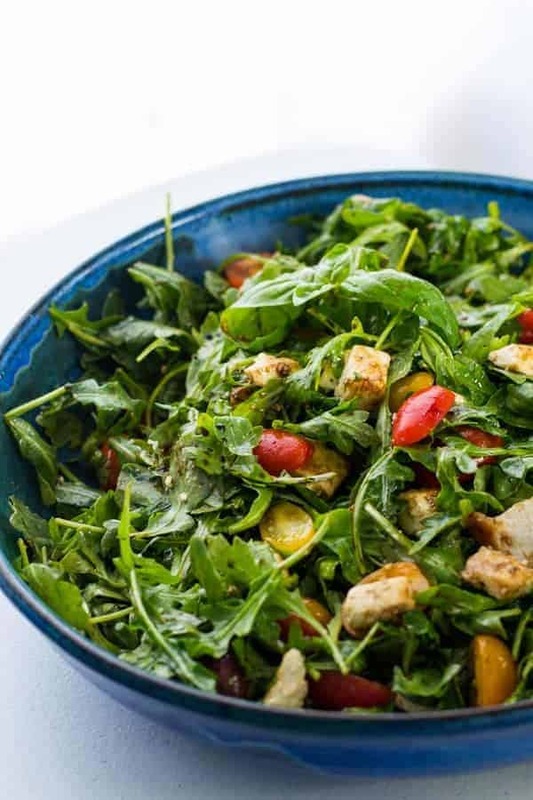 Crunchy arugula brings the perfect bitter green to match the sweet tang of aged balsamic vinegar in this powerhouse salad spin on the traditional Italian Caprese Salad. In a large bowl add arugula, tomatoes, fresh mozzarella, and basil. Sprinkle with salt and cover with cracked pepper. About 5 to 7 turns of the peppermill. Drizzle with extra virgin olive oil. Mix well with tongs, coating ingredients with olive oil, salt and pepper.. Finish with a drizzle of aged balsamic vinegar on top for a pop of contrasting color. 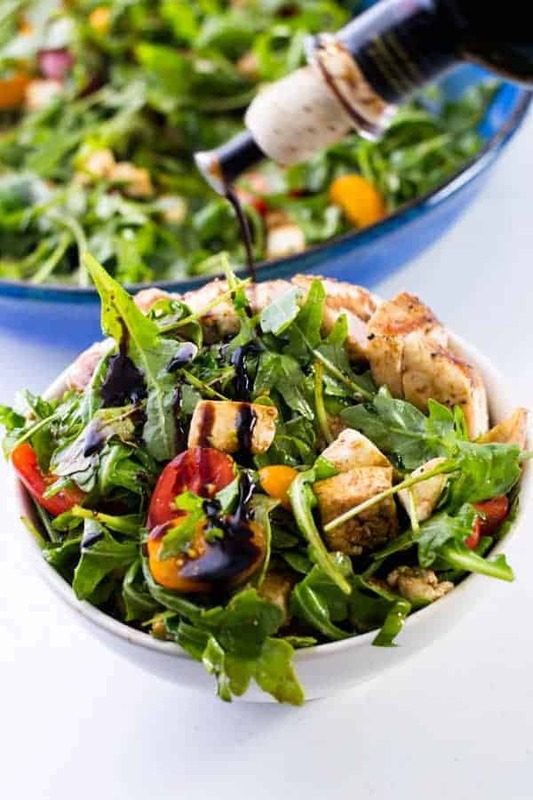 *Balsamic glaze can be substituted for good quality, aged balsamic vinegar. Glaze will be much sweeter, so a smaller quantities (1 tbsp) is recommended.